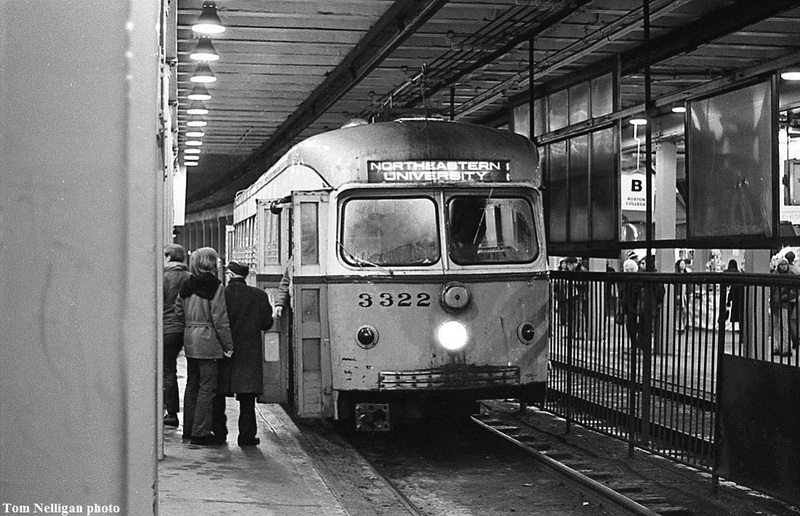 An inbound MBTA PCC car running as a Northeastern-Park Street shuttle discharges passengers at Park Street station. Following the retirement of the Type 5 cars in the late 1950s, ex-Dallas double ended PCCs like this one covered this service into the 1980s. Photographed by Tom Nelligan, November, 1985. Added to the photo archive by Tom Nelligan, January 25, 2018.